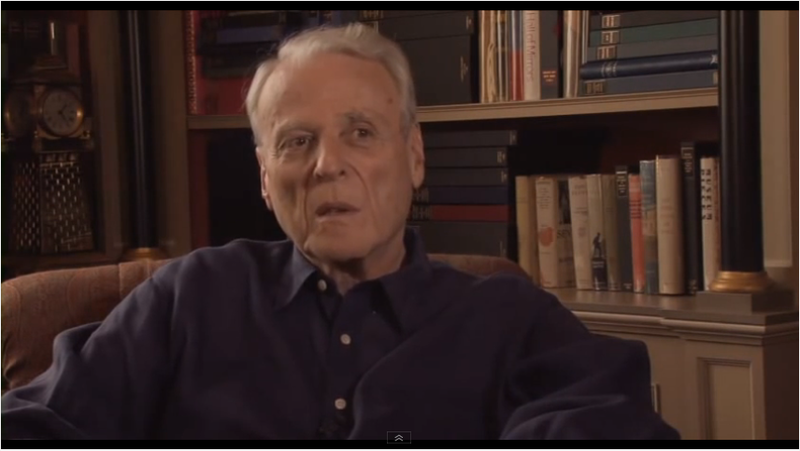 William Goldman is someone I deeply admire. If you had Butch , All The President’s Men and Marathon Man in your résumé, I would admire you too…and the guy can speak! His books are a pleasure to read, both fiction and essay. Adventures in the Screen Trade is a must. NOBODY KNOWS ANYTHING and SCREENPLAYS ARE STRUCTURE are two classic mantras he created and I have full faith in both… Just relax and listen to a very wise man. This entry was posted in BOOKS on screenwriting, SCREENWRITING and tagged Adventures in the Screen Trade, The Writer Speaks, William Goldman. Bookmark the permalink.